After dating for more then 2 years and having some of the best years of my life the time came to propose to my girlfriend. I knew I wanted something intimate, original / unique and true to who we are. 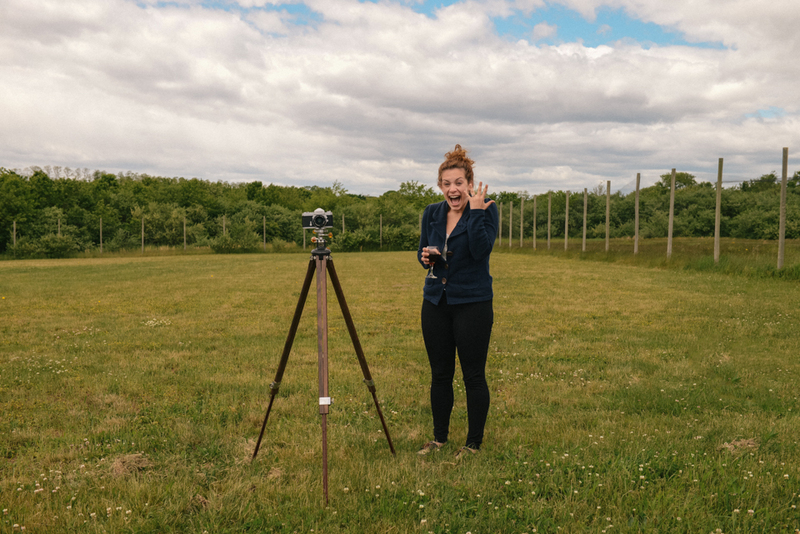 I had the idea to use a vintage camera and tripod as part of the proposal. Then the experimenting began to find the best way to incorporate this. 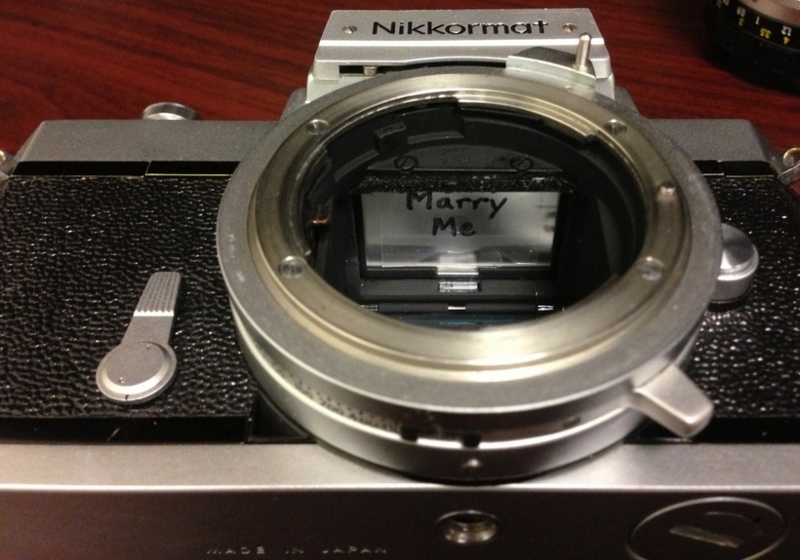 My first idea was to use a macro lens and extension tubes to allow me to write a message in front of the lens. After trying several lenses and different length extension tubes I ended up with a hideous Frankenstein monster. I could not use this setup; it was so ugly she would definitely know something was up. I still hadn’t figured out the best way to use the camera, and the date I had set was around 3 weeks away. I needed to find the closest distance at which the camera could focus on the writing. But why did I have to do this through the lens? I quickly wrote some words on a small piece of white paper and placed it inside the camera on the bottom of the viewfinder prism. Bingo, it worked! I scoured through my junk drawer and found a pack of iphone screen protectors. 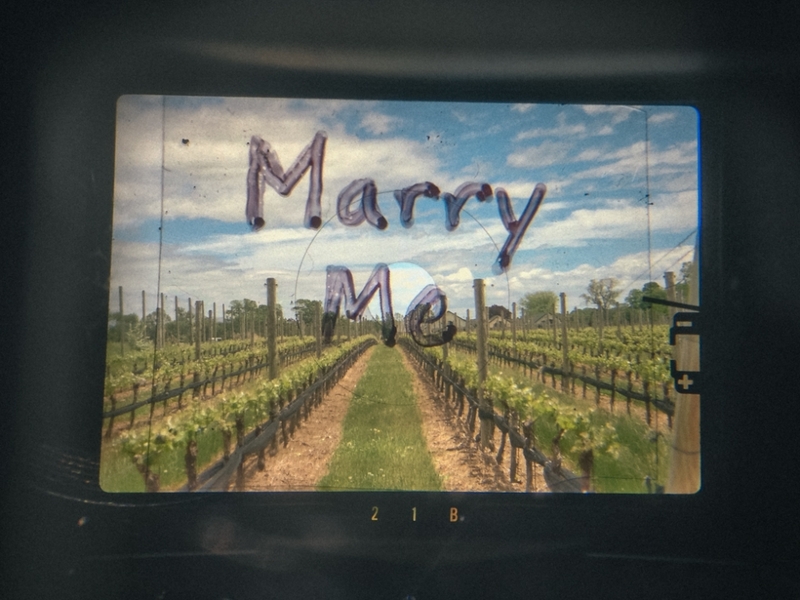 I wrote “Marry Me” on the transparent film then carefully cut out a square smaller than the prism in the camera. I peeled the backing off, placed the sticky side to the bottom of the prism inside the camera, I held it up to the light and was amazed. 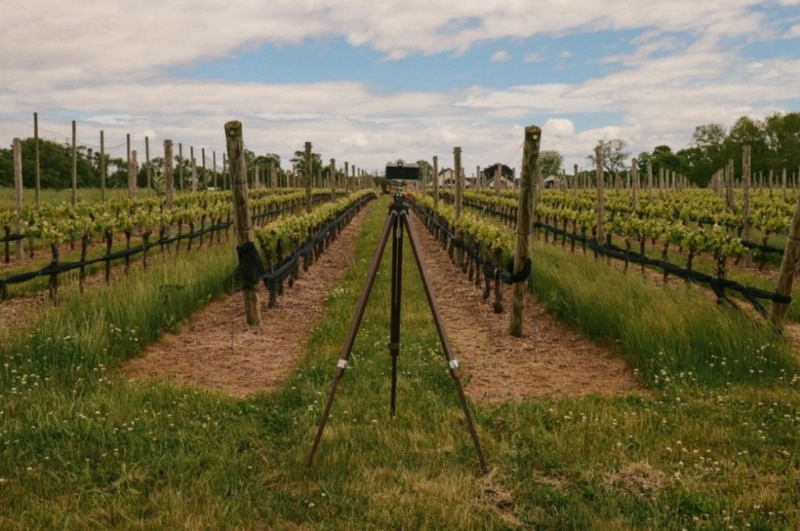 Last Sunday I packed up the car and headed east out to the vineyards in Long Island. We had fallen in love with Duck Walk Vineyards a couple years ago, and I knew this would be a great place to pop the question. 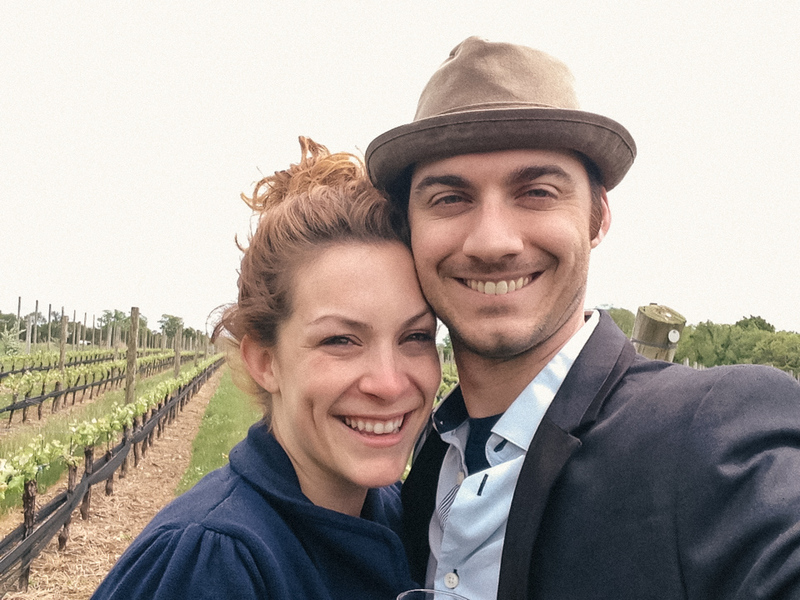 We walked out through the field of vines while I drank my wine as fast as possible. I set up the old tripod and camera to face down one of the rows. The sky was amazing and the overcast lighting was going to make this perfect. After setting everything up I pocketed the ring and went in front of the camera. I asked Cara to focus the camera on me so we could take a photo together. I dropped to one knee and pulled the ring out as she looked through the camera. After many “Oh my God”s and “is this for real?”s, she accepted. She was more excited than I had imagined. I had decided weeks before I did not want any photos taken of the moment. We were both a mess and wanted it to be something we would only share together, forever. Trust me I will not forget the moment. We are going to have the camera engraved with the date and location, and it will always be a decor piece in our home.